On Tuesday, Google announced Buzz, a new social networking service integrated with Gmail. On Wednesday, you probably mashed your F5 key waiting for it to arrive in your Gmail account--and maybe you even tried to cut in line. By Thursday, you were likely worried about the privacy issues. Well, if you're buzzing about Buzz, we have the tips you need to make it work for you. And if you're wishing it would buzz off, we'll show you how to remove it from your Gmail account. 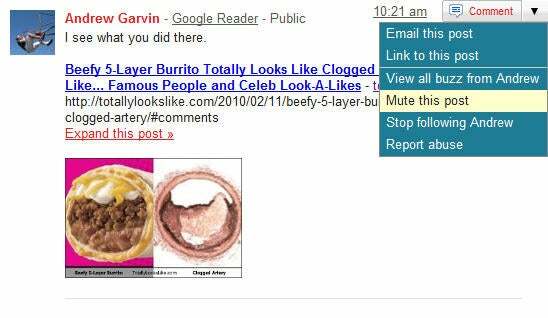 Google Buzz's default settings send you an e-mail notification every time someone mentions you in a post with an @ reference or replies to one of your buzzes. Since all this stuff also shows up in your Buzz stream anyway, the redundant reminders get annoying fast. Fortunately, Buzz e-mail notifications are easy to eliminate with Gmail's filter tools. Just click the Create a filter link at the top of the page, to the right of the search field. In the 'Has the words' field, type label:buzz and click OK. In the next screen, select Skip the Inbox and Mark as read to ensure that the message doesn't show in the inbox or set off your Gmail notifications (alternatively, you can choose to delete the notifications entirely). While Twitter users adore broadcasting their follower counts to the world, Buzz users have plenty of good reasons to keep such information private--particularly since in Buzz, the following/follower lists are not attached just to a cryptic pseudonym but to publicly viewable account names complete with a first name, a last name, and in many cases an e-mail address and links to Picasa and Blogger accounts. If your Buzz feed is getting out of hand, look for several management features embedded in the drop-down menu in the top-right corner of each post. For other people's buzzes, you can choose to mute a particularly active buzz that you don't care about, or stop following that person. For your own buzzes, you can mute, edit the content of a buzz, delete some of the comments, or delete the buzz itself. 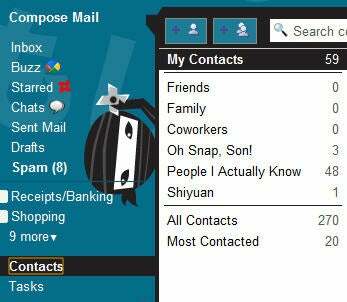 Buzz's privacy settings are based on your Gmail contacts list, so if you haven't already set that up you'll want to go through it before getting too busy with Buzz. 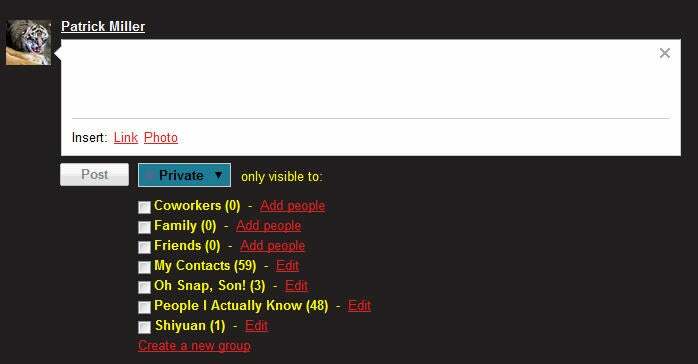 You can do so via the Contacts menu on the left side of the Gmail window (just click the New Groups button to the left of the Search Contacts field), or through the Buzz input box's privacy settings (click the Public button and pick Private to get the option to publish to existing Contacts groups or create a new group). Now that you have your Buzz feed under control, it's time to start tying in your various social networks. 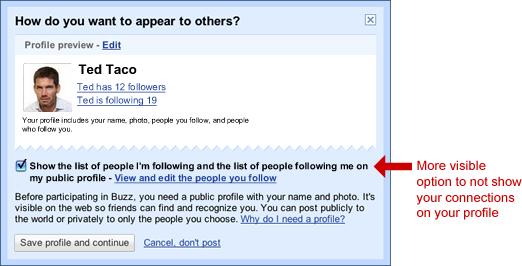 When Buzz first surfaced in your Gmail account, you created a Google Profile (if you didn't have one already). 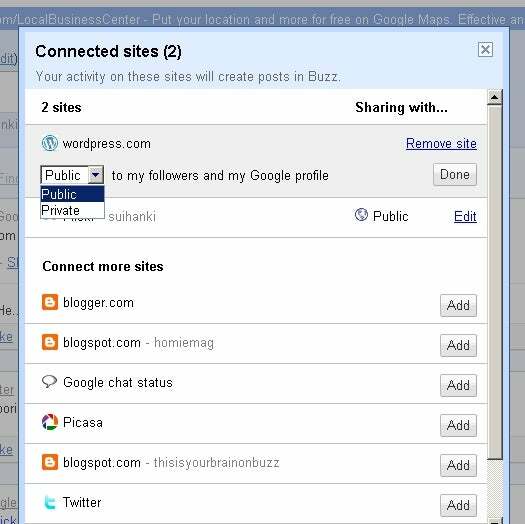 At that time, you should have had the option to link other networks to your Buzz account--Flickr and Picasa accounts for sharing pictures, for example, or your Blogger feed. As of this writing, you can officially link only Blogger, Flickr, Picasa, your Google Reader Shared Items, GChat status, and Twitter accounts to your Buzz feed, though WordPress blogs can connect to Google Buzz with a little more work. To add these sites, just click over to the Buzz tab in your Gmail and click the X Connected Sites link to bring up a window that lets you pick which ones to add. If you have an account or a page you want to link that isn't showing up, go over to your Google Profile, click Edit Profile (in the upper-right corner) and add it to your Links list there. While you're connecting these sites, you can also set them to share only to certain groups of friends, which is worth doing if you don't want buzzes about your public tweets, photos, and so on to be indexed by Google as part of your Buzz account. Keep in mind that if you're an avid user of Google Reader, all of your Shared Items will also be posted as buzzes. This means that anyone following you through Buzz and Reader (which is bound to be a decent amount of your follower base, considering that Buzz pulls from your Google Reader followers) is going to get hit with twice the posts, so you might want to consider keeping them separate until Google comes out with more-integrated sharing functions.